My promised contribution to this blog is long overdue. It’s been more than a month since my visit to Scotland, and, more specifically, the Scotch Whisky Experience (SWE) situated on the Royal Mile, a stone’s throw from Edinburgh Castle. Before I continue, let me make it very clear that I know next to nothing about whisky. What I do know has been gleaned from many a night listening to my husband wax lyrical about his favourite drink. So any knowledge that I might have acquired has been incidental. 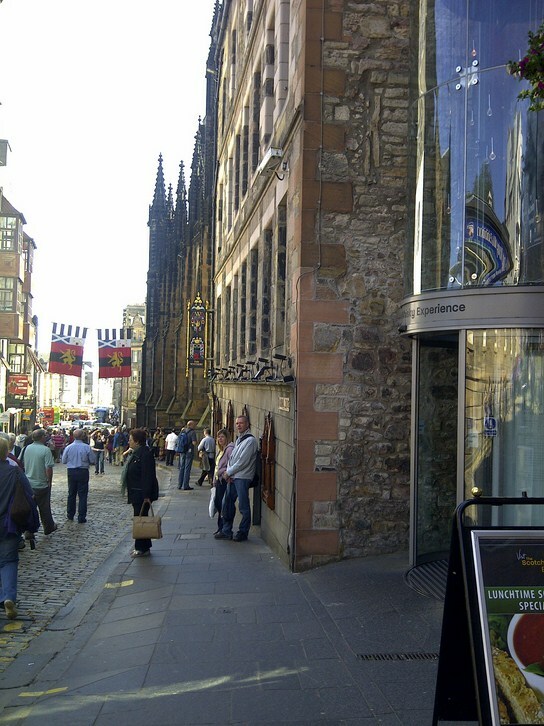 I was in Edinburgh to visit my dad – a very Italian whisky lover, conveniently living in Scotland. The last time I visited we took a lovely drive through the Highlands and stopped off at a few well-known distilleries along the way. On this occasion we didn’t have the time to travel out of the city however we had been offered a complimentary visit to the SWE, courtesy of the very friendly and welcoming team (thanks to Angela in particular!) that WoW had come to know through this post. The SWE building is surprisingly modern, considering the historic nature of its immediate surrounds. The tour options cater for varying needs, from those wanting a relatively quick introductory circuit, to those wanting something a bit more in-depth (with a couple of extra tastings thrown in of course!). We were offered the Silver tour, which lasted approximately 1 hour. It began with an entertaining audio-visual presentation: we were seated in a “vehicle”, aesthetically fashioned like a still, which then moved around like the teacups and saucers ride at a fairground. This was followed by a ten minute browse in a room decorated with photos and information that explained the whisky-making process in some detail. For foreigners there is a very nifty tool, resembling one of the original Motorola cell phones, which takes you through whisky-making blow-by-blow in your preferred language. My father tried out the handset and was highly impressed with the quality of the Italian translation! It saved me from having to explain some of the more technical English terms. The next stop was a small auditorium, where all the seats were accompanied by a tasting glass, and a colour and taste chart. A short presentation followed, which took you through key information about the whisky industry, the difference between single malts and blends, the defined whisky regions in Scotland, and the styles of whiskies that emanate from each region and why. This presentation is great for novices like myself and even for the more informed I would imagine that it would be very entertaining, if not terribly educational. Our colour charts were divided into the 4 whisky regions and as we were introduced to the characteristics of each region we were prompted to scratch the corresponding section on the cards to release aromas typical of the whiskies from that region. This was a very interactive and engaging way of demonstrating the various flavour groups. We were then given the opportunity to choose the profile that most appealed to us so that we could have a tasting of a whisky from that region (if you were fortunate enough to be on the platinum tour you got to have a dram from each region). I chose a whisky from the Lowlands, because whiskies from this region were described as being light and fragrant, and more palatable for those of us who are not yet accustomed to drinking whisky. For the first time in my life I can honestly say that I thoroughly enjoyed a whisky! 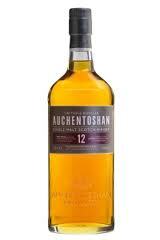 I fell in love not only with the whisky, but with its lyrical name – “Auchentoshen”. The distillery is actually owned by the famous Japanese whisky company Suntory. Unfortunately I haven’t come across it again since returning home to Cape Town. 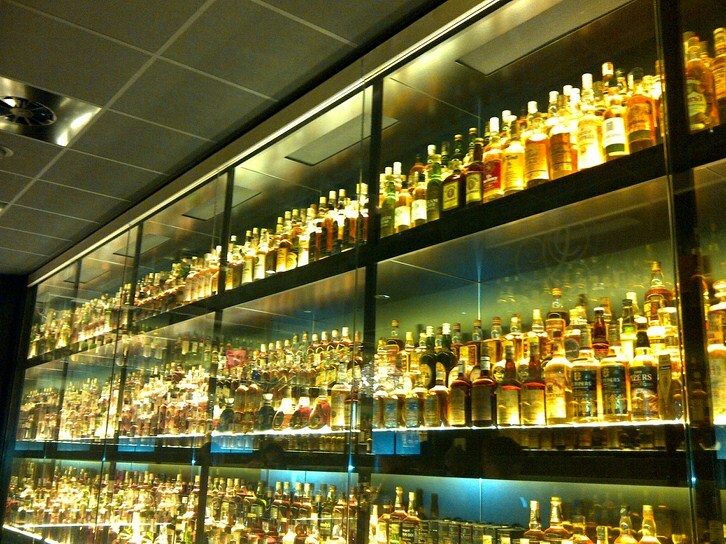 Our final destination, and the real highlight of the tour, was a viewing of the worlds’ largest whisky collection. Previously owned by Claive Vidiz of Brazil, who had amassed over 3300 bottles during the course of many years, in 2009 the collection was sold to Diageo, the world’s largest distributor of whiskies. To be in a room surrounded by so many different, special whiskies was awe-inspiring. Claive did not discriminate and his love of whisky led him to collecting all sorts from blends to malts – some young, some very old. The collection is very well looked after with the bottles cleaned regularly (I would hate to be entrusted with that responsibility – I recall not too long ago knocking over what remained of my husband’s Chivas Century of Malts, much to his dismay!). The tour pretty much wrapped up as we finished our drams, while looking on in awe at the incredible collection of bottles that lay before us. The experience managed to be highly informative, without being overwhelming. As I already mentioned, there are a number of tours to suit one’s specific needs – the silver, gold and platinum tours which are 50mins, 1h10 and 1h30 long respectively. Each tour offers slightly more value, although the 50min tour was just perfect for me, as a relative newcomer to the world of whisky. I would imagine that the gold and platinum tours would suit those of you who are already passionate. The staff were extremely knowledgeable and although Diageo is a major player supporting the SWE, there was no bias at all (except toward Scotch whisky in general!). All in all, well worth the visit. Don’t miss out if you happen to be in Edinburgh. This entry was posted in Uncategorized and tagged Auchentoshan, Scotch Whisky Experience, Whiskey, Whisky. Bookmark the permalink. Nice one Marni, I really enjoyed reading your contribution to the blog – noted should I make it to that part of the world again… and agree with you on the enjoyment of lighter yet subtly sophisticated whiskies (this is why I am such a fan of Singleton whisky). Thanks for sharing your great stories & whisky adventures! Looking forward to reading more! Thanks WW. Awesome! Makes me feel a bit guilty that I’ve been less than prolific of late. You’ve just motivated me to get my a in g :).